Women have always been present in the world of science. Across the world, they take their passion for biology, chemistry and physics to explore and answer the many questions of the mysteries of the world and the universe. One of the most notable prizes that celebrates the achievements within science is the Nobel Prize and this year history was made with the 3rd female scientist winning the Nobel Prize for Physics. 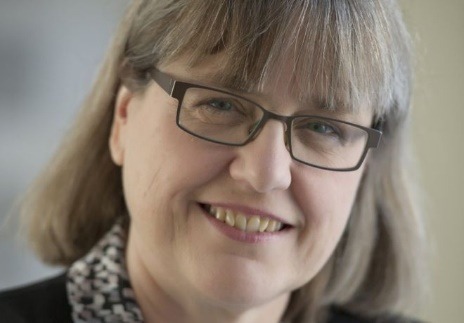 On October 2nd, 2018, 55 years since the last female scientist was awarded, the announcement that Canadian scientist Dr. Donna Strickland was a winner of the Nobel Prize in the field of Physics was shared around the world. “For the groundbreaking inventions in the fields of laser physics,” the work by Dr. Strickland and her colleague Dr. Gérard Mourou was honored along with Dr. Arthur Ashkin. 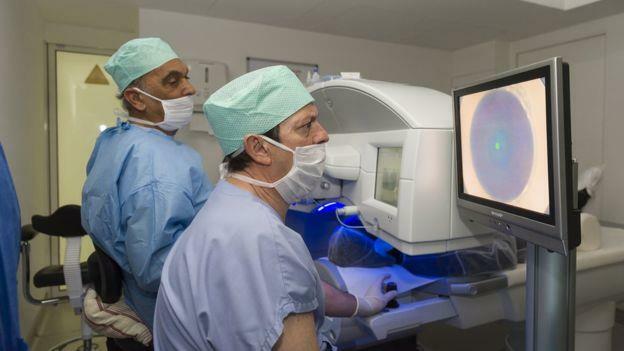 Dr. Strickland and Dr. Mourou invented the Chirped Pulse Amplification which is a “method of generating high intensity, ultra-shot optical pulses,” used in laser eye surgeries among other laser-based tools. This development has led to the ability to conduct a variety of operations. Dr. Strickland finds herself amongst Marie Currie (1903 winner) and Maria Goeppert-Mayer (1963 winner), serving as an inspiration to the many young girls who may be discouraged in pursuing science. “We need to celebrate women physicists because we’re out there. Hopefully, in time, it will start to move forward at a faster rate,” stated Dr. Strickland. She serves as another breaker of barrier and opener of minds of what can be achieved when young girls are supported in fields usually filled with the likes of men. Jessica Murphy, “Donna Strickland: The ‘laser jock’ Nobel prize winner,” BBC, October 2, 2018, https://www.bbc.com/news/world-us-canada-45722890. 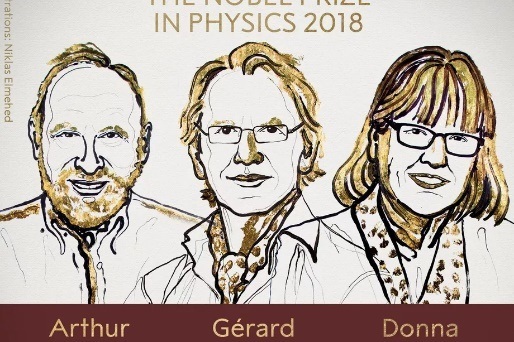 Brian Resnick, “Donna Strickland is the 3rd woman ever to win the Nobel Prize in physics,” Vox, October 2, 2018, https://www.vox.com/science-and-health/2018/10/2/17927356/nobel-prize-2018-physics-woman-laser-optical-tweezer-chirped-pulse-amplification.